It is kit car Sunday here at DT! We have a duo of gull-wing cars for your reading enjoyment. First up is real mongrel of a vehicle that started life as a 1987 Fiero. 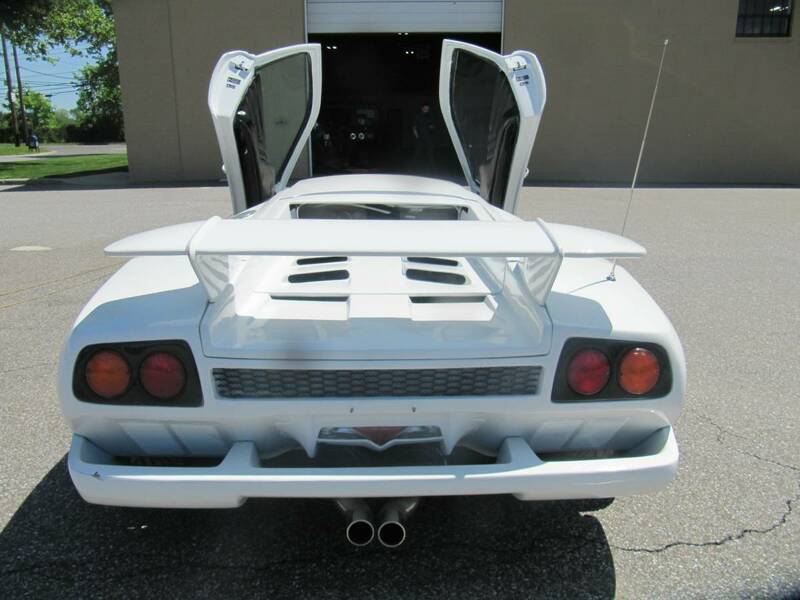 The chassis was stretched and then fitted with a pretty convincing Diablo VT body kit, proper fitting Compomotive wheels, and a cocaine white paint job. At this point you may be expecting some sort of General Motors drivetrain swap, but this beauty throws us a curve ball with a Honda VTECH V6 and auto trans under the bonnet. This car is such a odd duck that it is best to let the pictures and two videos do the talking. 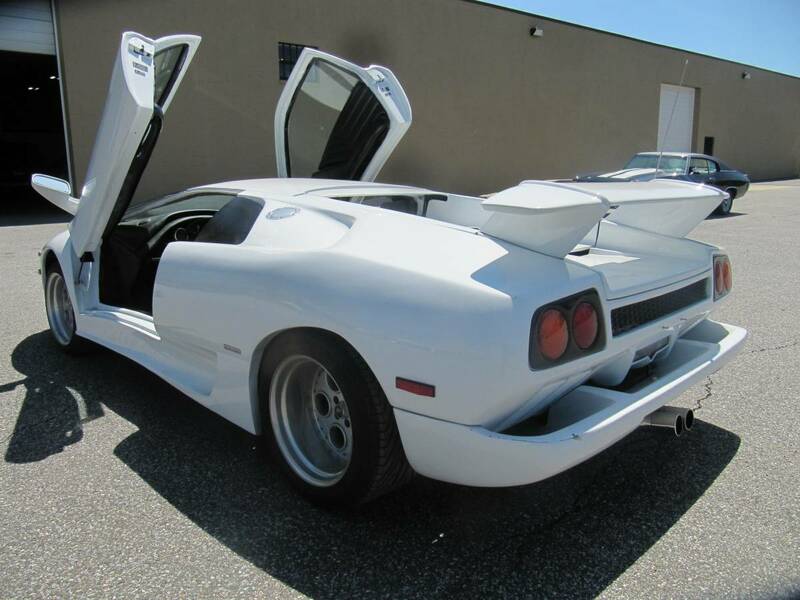 Find this 1999 Lamborghini Diablo VT replica for sale in West Babylon, NY for $24,500 via craigslist. VERY NICE 1999 LAMBORGHINI DIABLO VT REPLICA, NICELY BUILT WITH HONDA V-TECH RUNNING GEAR. HIGHLY SOUGHT AFTER AND LOTS OF FUN! Professionally built on properly stretched 1987 Pontiac Fiero chassis. Overall a total of close to $40k was spent on building this car. It is NOT absolutely perfect but show me another one that is nicer for this kind of money! Previous owner basically built it himself in his garage in his spare time, took him about 3 years. Work was done fairly well, but this is NOT a $200,000 SEMA show car obviously. Could easily be taken to the next level with minor investment. Mechanically car runs and drives. 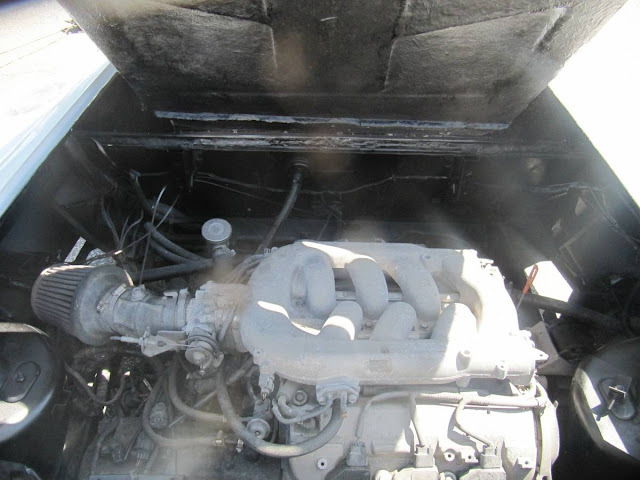 Engine is excellent with good compression, starts right up and idles great. Transmission engages in each gear, but slips from time to time. Steers good, brakes good with BREMBO brakes, and is overall a fun car. It needs someone to button up some loose ends, clean it up and dial it in gear so it can be used daily. PRICED TO SELL AT $24,500. Call me please by hitting REPLY button above listing. Come see it in person. IF YOU SEE THIS AD, IT'S STILL FOR SALE, SO PLEASE STOP ASKING. 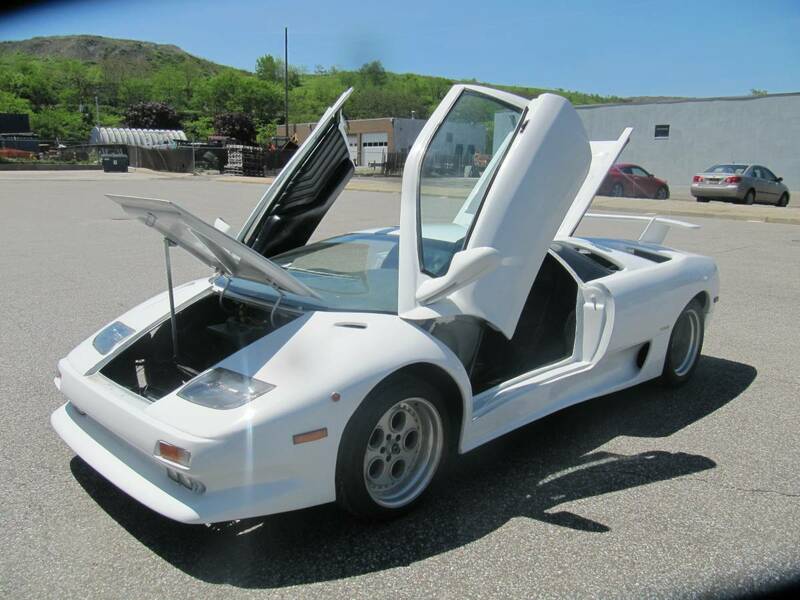 This is quite possibly the most unusual Fiero kit cars to be featured here at DT. No doubt a lot of money has been spent, but it is lacking in a couple areas. It is unclear what displacement Honda V6 is used or from what make and model donor engine it came from. I believe there are supercharger set ups for Honda/Acura V6's so that would seem appropriate to add a puffer here. The (slipping) auto trans and cheap looking gauges are the other letdowns If the builder went to all that trouble to custom fab the dash, why chintz out on the integration of the gauges? How in the world do you price something like this? 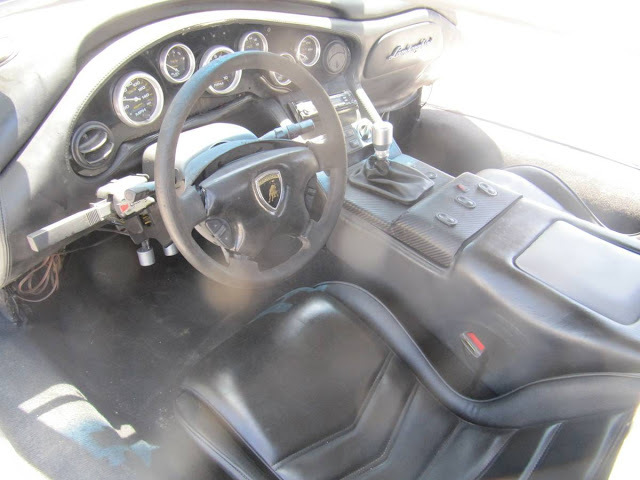 How strong is the market for faux Lambos? A couple videos and many pictures to feast your eyes on. Cory is working on fixing a clunking noise from the rear of his 99 Mercedes E300. My 80 year old neighbor has a Diablo with a Chevy V8 in it. The body is original and he probably invested about the same $$ in his, as this seller did in this kit car. It looks better when parked and makes nice, albeit non-original, noises when fired up. I hope that he built it properly with three pedals! What they said..... oh and how hard is it to throw a tarp over your engine before you spray the paint?